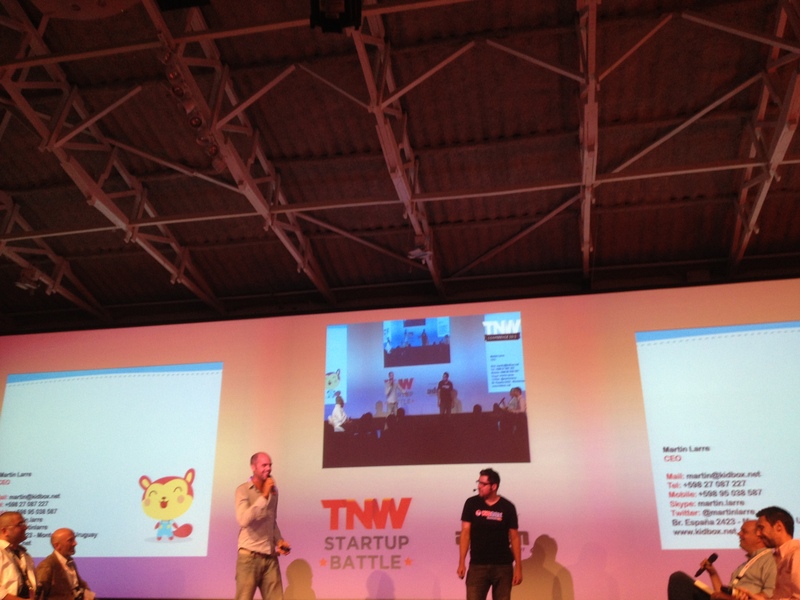 Kidbox‘s content playground for kids is now available in Portuguese, the Uruguayan startup announced today during TNW Conference Latin America, where it is taking part in the Start-Up Battle. As we reported when it won Red Innova’s competition in Brazil last November, Kidbox is a walled garden for children between the ages of 2 and 8, who can access a parental-controlled portion of the Internet, with a specific focus on curated educational content. While Kidbox doesn’t produce its own content, it partners with third parties interested in reaching a pre-school audience. According to Kidbox’s CEO, Martin Larre, it means that parents can now easily control their kids’ online experience through the app’s dashboard, which lets them adjusts settings in a few clicks. As for pre-schoolers, they can browse content that is adapted to their age, their level of development and their parents’ preferences – and hopefully have some fun with it. While Kidbox is originally from Uruguay, it recently graduated from Start-Up Chile, and is now gearing up to expand into Brazil thanks to its newly announced Portuguese-language version. The startup estimates that the size of its potential market is up to 50 million families, which it says it may monetize through freemium features and ads targeted at parents. While its platform is currently 100 percent Web-based, Larre said on stage that an Android version is coming very soon. In addition, it plans to hit the iPad once iOS 6 is released.